Nuin, the ash tree, is associated with the connection of all things. Liz and Colin Murray state that the ash is both “macrocosmic and microcosmic”. The god-like world tree is commonly believed in European mythologies to be an ash tree and is thought to link the three worlds together[i]. The Nordic people called this tree Yggdrasil. Laurie tells us that Nuin is the fork that supports the weaver’s beam and thus connects us to all in the universe, “We are related to each thing in the universe around us, from sparrow to star”. The ash then reminds us that we are all truly part of one greater, and unfathomable, being. Nigel Pennick points out that the seeds of the ash resemble keys and thus, “Have the power to unlock the future”. Perhaps this is one of the reasons why the ash tree is so often intimately associated with the druidic shape-shifting god Gwydion? Nuin, the ash tree, is a symbol that we are all one and that we are not separate beings. For this reason Nuin is also often associated to peace. In spiritual reflection the concepts of oneness and separation are commonly found in many traditions and practices. In the great religion of science we are reminded that we are made up of billions of particles which are molecules. These are made up of the atom, which is a nucleus surrounded by charged electrons. The nucleus is then made up of charged protons and negativly charged neutrons. These basic fragments can be viewed as energy. When we cease to exist, or die, this matter and energy within us will not cease to exist but will break apart into fuels for new beings in many various ways. These will in turn become fuels for other creatures, and the millions of parts of us will then become a myriad of other life forms. 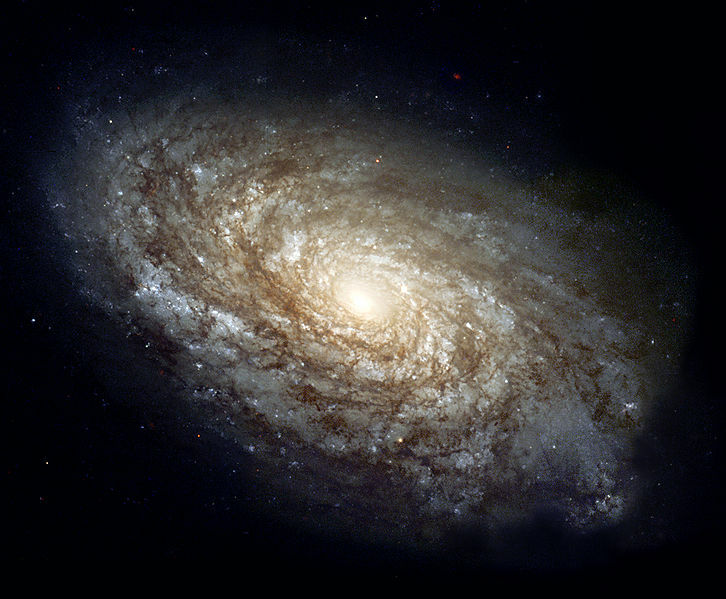 The microscope gives us a view of worlds not so very different than those now found by looking through the most powerful telescopes on earth. The celestial heavens take on the same shapes as those particles that make up our very bodies. We know that the idea of a table top being solid is an illusion. It is made up of particles that are constantly in motion with great spaces between them. These particles exist everywhere, both in the wide open space and within the densest of materials. These are the building blocks for all plants and animals, animate and inanimate beings, and of the air that separates us as well. The religion of science is no longer so different than the spiritual philosophies of the world. We are made up of a collection of microcosmic pieces that at their core are simply composed of energy. Everything has energy-or a spirit if you will. If everything has a spirit and if everything is fundamentally the same at its most basic level then perhaps we can more easily view the belief that we are all related through the eyes of science as well as religion? All things have spirit. We are not separate, but perhaps are part of something bigger and more unfathomable than we could ever imagine. Charles Darwin’s theory of evolution explains our many differences in full. We adapt to survive and thrive and in the process many other creatures will be pushed aside and fail. Ultimately, however, we will become more and more advanced collectively as symbiotic relationships are formed, beings become more aware of themselves and of one another, and other beings that have not obtained perfection, unlike the shark perhaps, are continually forced to evolve and become more and more specialized and sophisticated. It is with this basis of understanding that we can look upon conflict in the world and understand its true nature. Like the classical decision making weigh-off we often see two sides to every problem; sometimes more. As individuals, for example, we are unsure if we want to submit to a short term pleasure like chocolate or if we should resist it in order to achieve our fitness goals. Two sides of the argument exist within our head. One side promotes chocolate as an early reward for good behaviour, the other side wants to honour discipline and follow the path that has already been set. This is a simplistic metaphor, of course, for something that happens on a grand scale every day within our society. Should we support the red party or the blue party? Should we stop buying wine or coffee from certain countries or continue to enrich our own economic growth? When people break up into various factions and state forth their arguments they are contributing to the evolution of the collective even if it doesn’t seem like it on the surface. We braid together and evolve while our social norms and customs are shaped from thousands of little moments in which we met one another. Over decades -centuries or even longer- we decided what it was, exactly, that we wanted to believe in, stand for, or become. Balance occurs when the separate factions find common ground; when the zoos, and the hunters, and the environmentalists, and the scientists come together and make real long lasting sustainable decisions invloving the futures of certain animals, for example. When the farmer, and the consumer, and the seller meet upon common ground to negotiate fair trade or organic processes this also happens. We then become part of something larger. Simply being angry for anger’s sake is not helping anyone, for when we make this choice we are choosing to be separate. Often the “cause” driven individual is just as much a part of the separation situation as the “apathetic” individual. Uneducated activism creates enemies, because without empathy it has no truth. Apathy on the other hand creates monsters, because without accountability there is no change, there is no adaption and there will be no evolution. All things must be balanced. There must be an understanding that every little thing that we do is more significant than we could ever imagine… and that it hardly matters at all. This is the Mandela of the mundane. The ash tree is common throughout the Northern hemisphere. In British Columbia however it is listed as “red” endangered or special consideration[ii]. It is found naturally only on Vancouver Island, though there are historical references to its presence on the mainland as well. It is now generally accepted that the Oregon Ash is a rare native species. This has been debated in the past as many once believed that the tree was introduced. It is listed in Douglas’ Illustrated Flora of British Columbia[iii] as a native species as it also is in Plants of Coastal British Columbia. There are small pockets of ash trees on the West coast of Southern Vancouver Island most notably around Victoria and Port Alberni. The tree grows in greater abundance along the coast in Washington, Oregon and California. 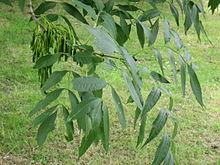 Like many of the other Ogham trees the ash has been grown as a domestic or garden species in many cities throughout North America as well though. It is most easy to identify when the seeds are present upon the branches. The Ash is both majestic and otherworldly, common and relatively plain. [i] Yggdrasil was poetically described in the Eddas as the “evergreen needle-ash” but it is in fact a yew tree. This nineteenth century misconception has become so widespread that the yew is rarely even mentioned as the world tree (the Meaning of Trees). One can look no further than Robert Graves’ the White Goddess to see how prevalent this belief has become. If one were to remove this association many of his arguments relating to the ash, which build one upon another, are placed on very boggy ground. Like many things though, perhaps the most important thing for us to decide is what the belief has come to be, in current time, and not what it once was. [iii] Described as “the definitive work for the vascular flora of British Columbia”, this eight volume series was published in 1998 by Crown Publications (B.C. Government) and each volume is still available from $35 to $55. The content is also available online through E Flora BC, the previous link given. This entry was posted in Tree Ogham and tagged ash, Charles Darwin, conflict, macrocosmic, microcosmic, Nuin, Oregon Ash, Yggdrasil. Bookmark the permalink.